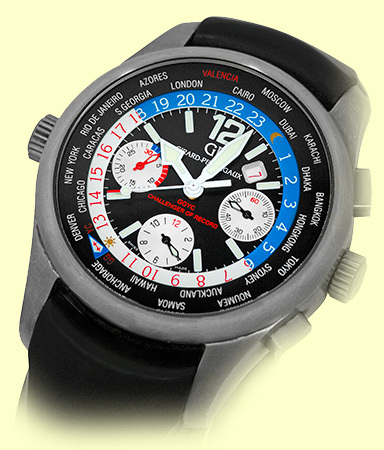 Gent's Titanium Girard Perregaux World Wide Time Control "Challenger of Record Americas Cup 2007" Strapwatch. 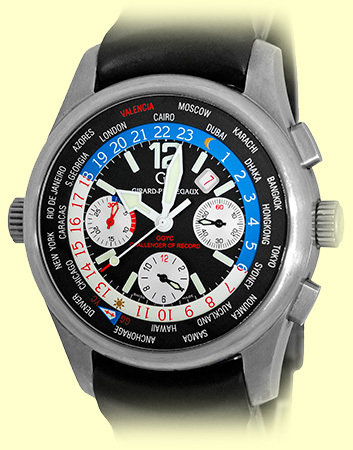 Black Dial with Silver Subdials, Luminescent Hands and Hour Markers, Subsidiary Second Hand, Date Indicator. 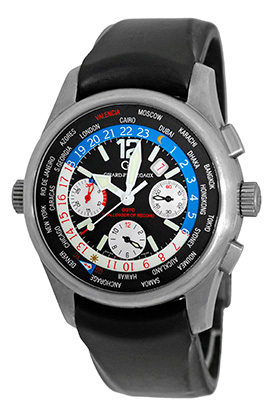 White/Blue (AM/PM) 24 Hour World Time Indicator Ring, Chronograph Functions, Sapphire Crystal. 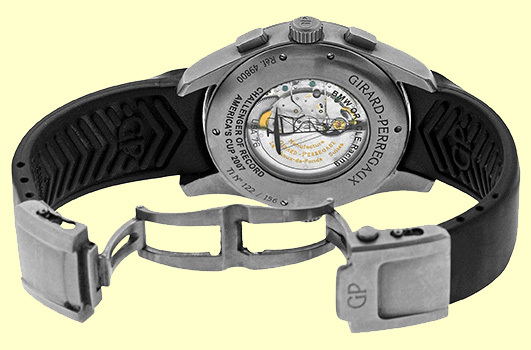 Highest Quality Black Girard Perregaux Composite Rubber Strap with Titanium GP Dual Deployant Clasp. Handmade Swiss Automatic Movement Visible Through Sapphire Exhibition Caseback (Calibre GP 033C0). 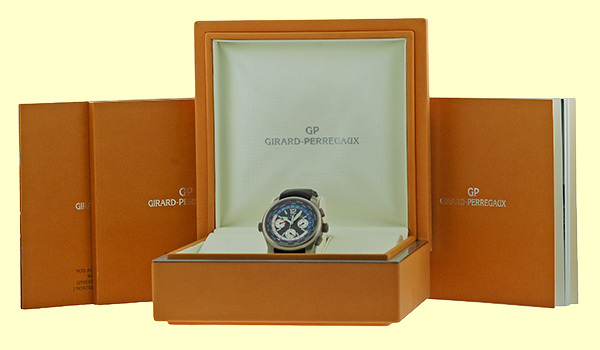 Like New, PERFECT Condition with Large Wooden Girard Perregaux Box, Booklets and complete with Capetown's Lifetime Warranty! !